The Washington Redskins had a collection of top plays for the year, which got us to thinking. What are the top ten moments from this year? The 76 yard run by Robert Griffin III has to be on the list. Kirk Cousins coming from behind against Baltimore, the long pass by Griffin in the Saints game and many Alfred Morris plays all come to mind. The video staff here at HTTR4LIFE.COM all agreed that to commemorate all of the action of 2012 we should do a top 10 plays video. The only way to get a legitimate list though is to ask for the opinions of you, the fans of the Burgundy and Gold. So take a minute and think back over the entire season and tell us what your top 10 plays of the year are in the comments below. 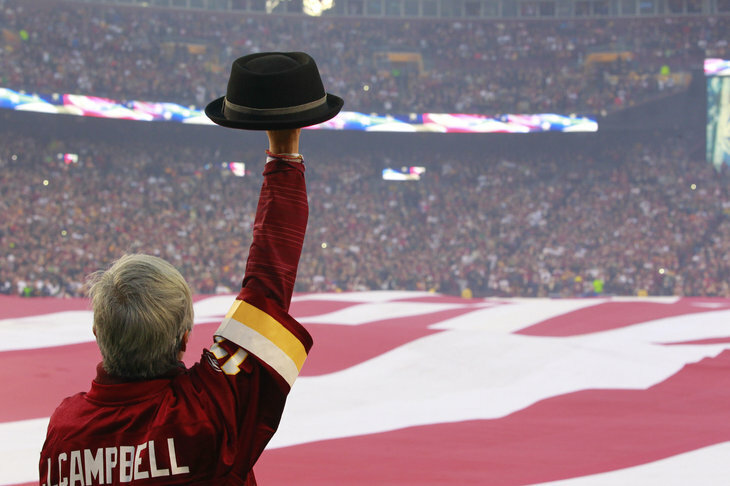 Thanks for your feedback and as always….Hail to the Redskins!! ← Previous Story Is RG3 a MVP Candidate?